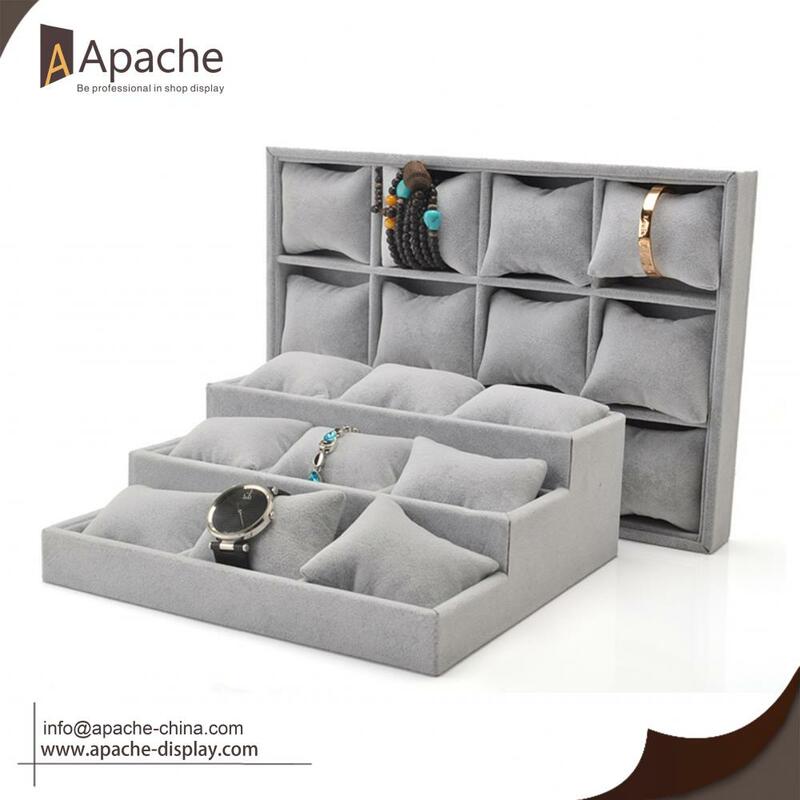 This Jewelry Display tray set is made of soft velvet and MDF, there are many options for you, tray with grid and without grid, you can use it display for watch/bracelet, necklace and ring. 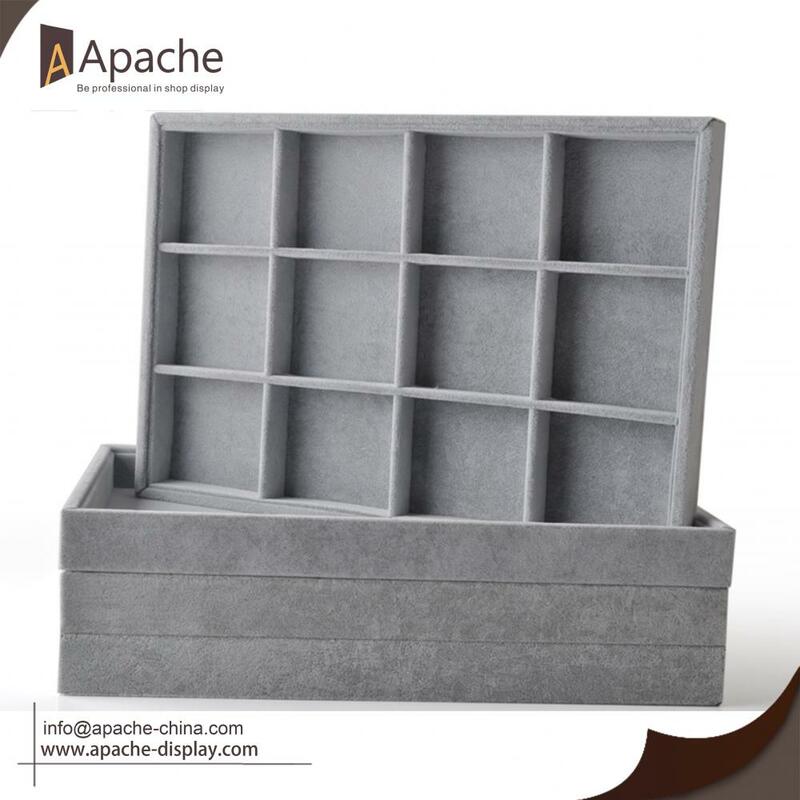 Every single piece of product and production procedure are inspected and controlled by our quality inspectors before packing the goods into export cartons, they are durable in use make which is also win warm praise from customers. Feel free to contact us if you are interested. Both OEM & ODM are available for us. 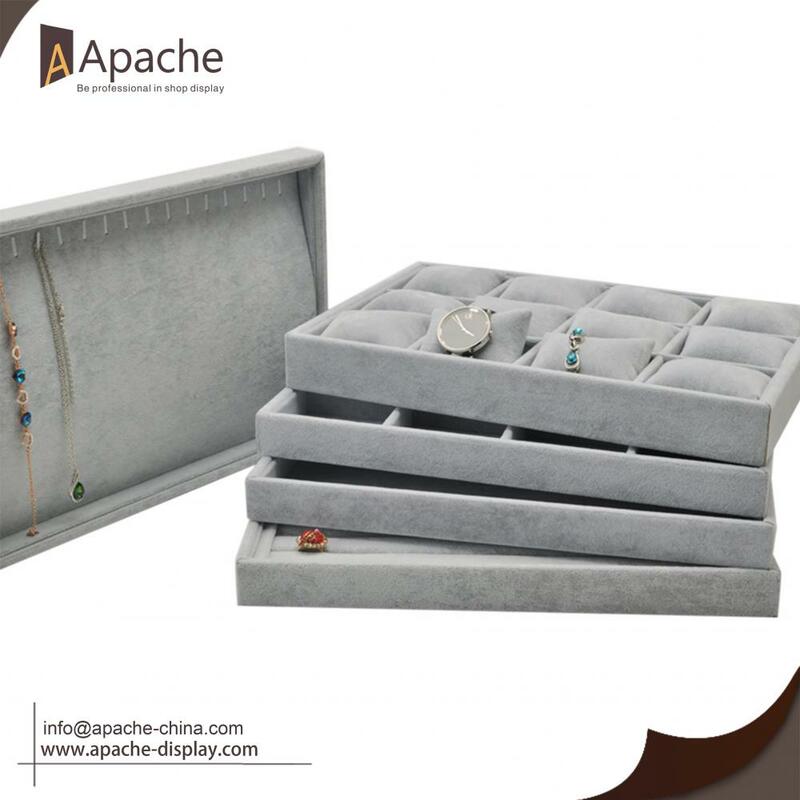 Looking for ideal Watch Velvet Tray Manufacturer & supplier ? We have a wide selection at great prices to help you get creative. 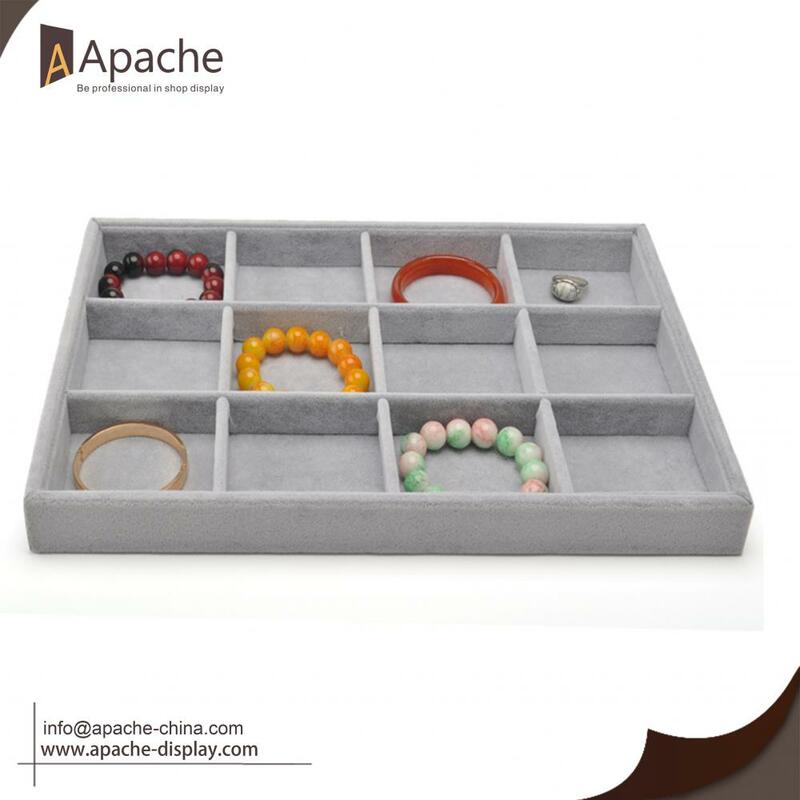 All the Bracelet Shop Display Tray are quality guaranteed. We are China Origin Factory of Jewelry Counter Display Tray. If you have any question, please feel free to contact us.